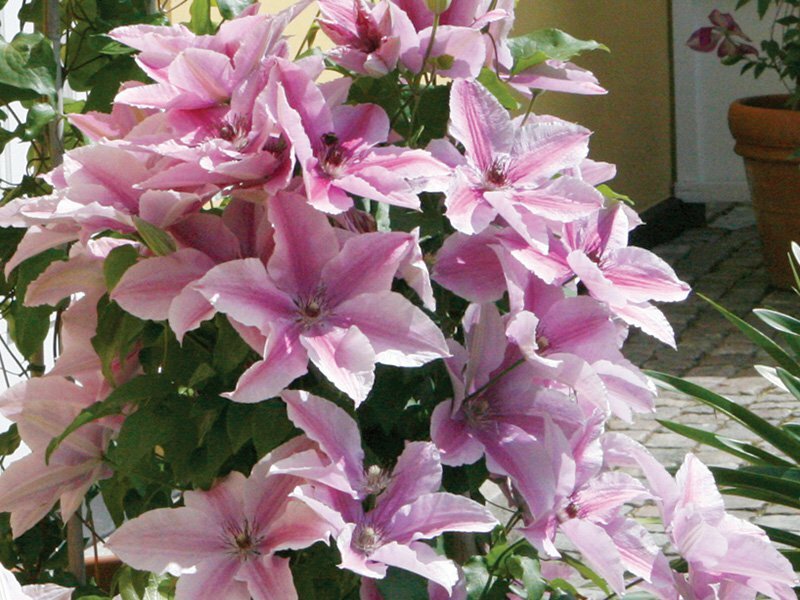 This multi flowering clematis has delicate pointed pink sepals, each with a deeper pink central bar, and contrasting red anthers. The mass of flowers appear from late Spring until late Autumn and are produced in great abundance. It is a very good repeat flowering plant. A very compact plant which is ideal for growing in a container.